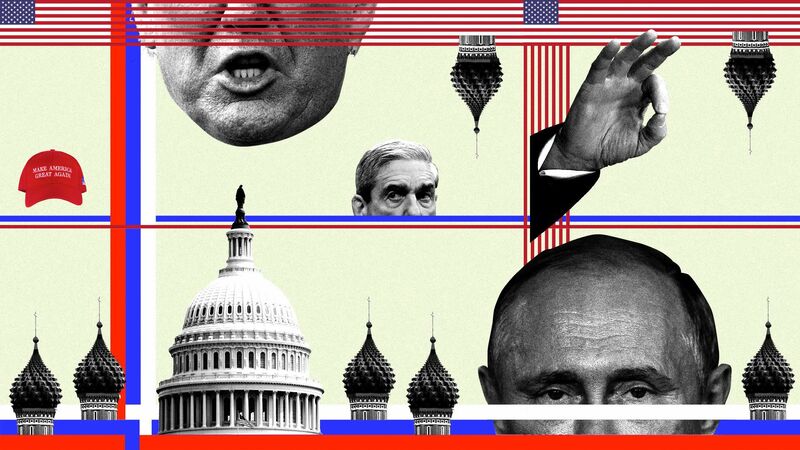 Two years of Donald Trump, of Russia, of federal investigations, of fake news, of Fox all come together today in a made-for-the-big-screen and destined-for-the-history-books scene. The big picture: At today's Trump-Putin summit in Helsinki, you have an American president huddling alone with an enemy of the United States who infiltrated our election system. They'll do it on the first weekday after the president’s own government indicted a dozen Russian intelligence agents for carrying out the cyberattack. Also Friday, Trump's top intel official declared that the current danger of more Russian cyberattacks is akin to warning signs before 9/11, when 3,000 were killed and terrorism reshaped the core of our country and lives. You have an American president who publicly shrugs at the threat, and claims most of the coverage is fake — even as it echoes the precise warnings and conclusions of his own government officials. When the meeting concludes, Vladimir Putin will postgame with a Fox News interview (Chris Wallace), while Trump will hit two Fox News shows (Sean Hannity and Tucker Carlson) to give his own spin. Trump will surely amplify his take on Twitter. This morning, he began Summit Day by tweeting: "Our relationship with Russia has NEVER been worse thanks to many years of U.S. foolishness and stupidity and now, the Rigged Witch Hunt!" The post-summit sit-downs will be with the same Fox News many expected would be tempered — or even fade — after Roger Ailes was ousted. Instead, it's now the most powerful White House visual stage in history, thanks to Trump. And the same Twitter that was the playground for reporters and news junkies is now the most powerful presidential messaging system in history, thanks to Trump. Be smart: Sitting silently back in D.C. will be the one man who can pull all these strings together, sort through the fact and fiction, and tell a tale no one will ever forget — Robert Mueller. Trump has a "1:1 bilateral meeting with the President of the Russian Federation," beginning at 6:20 a.m. ET, per the White House schedule. The two leaders are scheduled to hold a joint press conference at 9:50 a.m. ET.